The quadruped dinosaur had a disproportionately long neck that experts speculate was used for reaching vegetation. For a while, scientists believed it to be the longest dinosaur. Its long tail had bones on the underside, a feature that has been discovered in other dinosaurs in the same family. Diplodocus fossils were found in the Morrison Formation in the western United States. 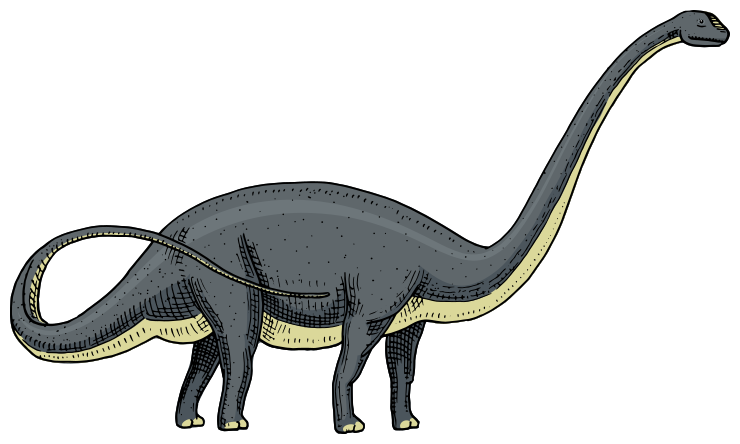 The dinosaur dates back to the Kimmeridgian age between 155-152 million years ago.